Training and facilitation, including the design of innovative training workshops and learning programmes. A member of the South African Monitoring and Evaluation Association (SAMEA), the Business Women's Association (BWA) and the Black Management Forum (BMF), Jerushah regularly speaks at national and international conferences. Impact of formal housing on quality of life. June 2010 at 3ie International Impact Evaluation Conference – Mid the Gap: From Evidence to Policy, Cuernavaca, Mexico. Project impact: beyond what we invest in to what it as achieved. May 2010 at the Trialogue Corporate Social Investment conference, Johannesburg, South Africa. "How do we measure success? Social accounting, Social return on investment and other measurement tools". April 2010 at the Social Entrepreneurship World Forum, Johannesburg, South Africa. Negotiating context-appropriate evaluation methodologies between Western donors and African evaluators. November 2009 at American Evaluation Conference, Orlando Florida USA (received one of four International Travel Awards). Effects of a clash in values between international donors and local evaluators. Poster presentation at the second South African Monitoring and Evaluation Association conference entitled ‘eVALUation’ (won best poster award), Johannesburg, South Africa, August 2009. The Most Significant Change (MSC) technique as a method to uncover values. Presentation at the second South African Monitoring and Evaluation Association conference entitled ‘eVALUation’ (won best poster award), Johannesburg, South Africa, August 2009. Evaluation results: engaging various audiences for effective learning and influence. Presentation at the Network of Networks on Impact Evaluation (NONIE) and African Evaluation Association conference entitled ‘The International Conference on Impact Evaluation for Development Effectiveness’. Cairo, Egypt, March 2009 (Received International Travel Award). Associate Tracey Konstant has a PhD in Organisational Behaviour from the School of Economics and Business Management, University of Pretoria. She has 17 years of work experience across six African countries, with the last eight years spent in organisational support consultancy in the South African development context. Her areas of specialisation include organisational development through evaluation and client-centered process design and facilitation, with particular expertise in the health, HIV and social development sectors, supported by wide-ranging experience across a range of sectors. She is a regular presenter at national and international conferences in the field of monitoring and evaluation. 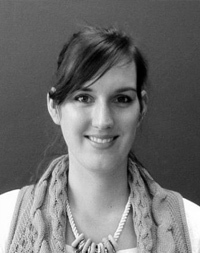 Project and Business Manager Anje Coetzer has an MPhil in Monitoring and Programme Evaluation from the University of Cape Town. Her dissertation was a formative evaluation of Working for Water’s Contractor Development Model, which aims to develop entrepreneurs in the SMME market. She holds an Honours degree in African Politics from the University of South Africa, with a thesis investigating the Millennium Development Goals in South Africa. 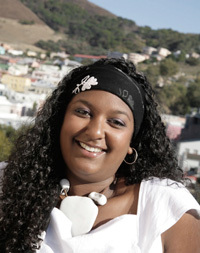 She also holds a BA degree in Applied Value and Policy Studies from the University of Stellenbosch. She previously worked at a skills and business development consultancy in London, involved in monitoring and evaluating small and medium-sized organisations. Anje brings strong project management skills and experience to this team. Fieldwork Facilitator Associate Lindy Dlamini has extensive experience with facilitation, coordination and training and has worked with communities across South Africa. With a postgraduate degree in Administration, Lindy has successfully coordinated various research projects within the NGO sector. Lindy has acted as a mentor to TSiBA students, and has experience with English language education, through long-term volunteering as an after-school English educator in Hout Bay. Lindy also speaks nine of our eleven official languages.